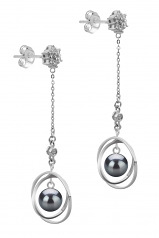 Add a touch of elegance to your dress for an evening out with these 6-7mm Paula Black Japanese Akoya Pearl Earrings set. 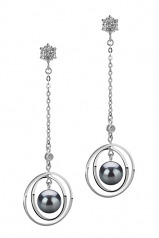 The round AA grade pearls inside a sterling silver mounting will really add that all important sparkle and glamor to any outfit you choose to pair them with. The simplicity of their design also helps to bring out the beautiful colors and luster, making them a very versatile pair of earrings to wear. 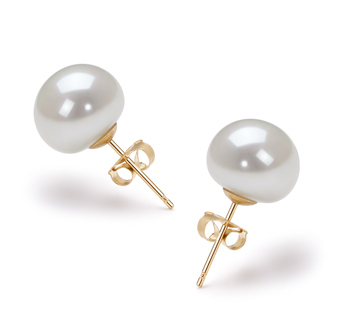 Even when worn with business attire or something a little more casual these 2.0” drop pearl earrings will add that all-important touch of refinement. 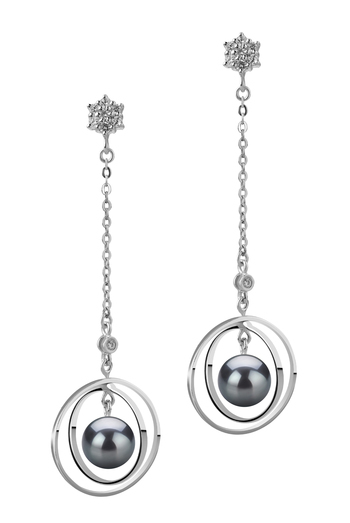 As the pearls only measure 6-7mm in diameter they won’t feel uncomfortable when being worn as they weigh very little and are kept securely in place with a butterfly clasp to the rear. 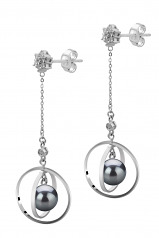 Even though the pearls are small they will still stand out and bring a whole new look to your outfit.